I made this dessert for lunch the other day. The recipe is from Gourmet Easy Dinners magazine. It is rich yet light and small portions are perfect. It is also quick and easy to prepare. Puree mango, sugar, lime juice and a pinch of salt in a blender until very smooth. Add cream and blend until very thick. Blend in additional lime juice and sugar if desired. Transfer to a bowl, fold in most of the blueberries, then divide among 6 glasses. Top with remaining berries and zest. Chill. Oops. Looks like I forgot to add the lime zest garnish. That happens to me way too often, even if I have the garnish ready and sitting right next to the dish. I usually find it when I’m cleaning up. Oh well, it’ll be like a new recipe next time! This looks delicious. Also, I’ve nominated you for the Beautiful Blogger Award. If you want to participate, click the link for details. Thanks a lot, Drew. It might take me a little while to get my “response” together, but I’ll do it. Kind of like homework without the deadline and subsequent consequences! Thanks again. Very intriguing, one needs to try. It’s so simple and I’m sure you’ll enjoy it. Hope you do give it a try. Thanks for stopping by! I’ve never heard of mango fool before, but I LOVE the name! You give good recipe. 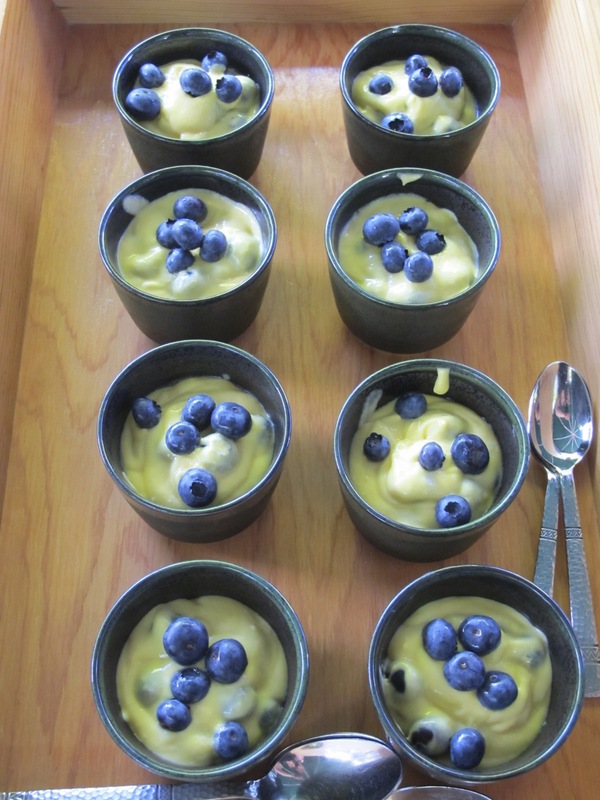 Love the shades of blue and pale yellow…and I did not know that mango fool was that easy to make! Easy and delicious. Hope you give it a try!